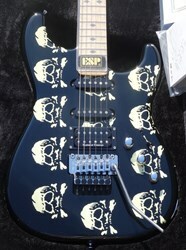 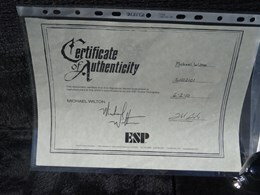 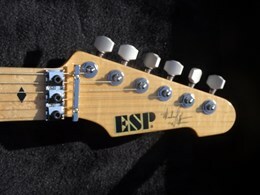 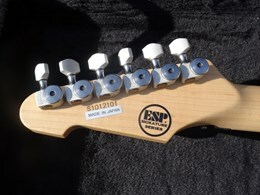 This is an excellent condition ESP Michael Wilton Glowing Skulls, crafted in the ESP Japan shop as a signature model for the Queensryche guitarist. 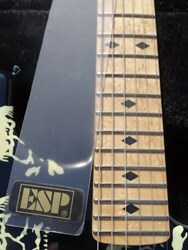 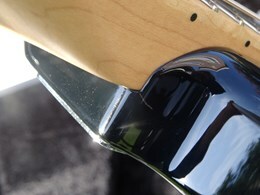 The guitar is a bolt-on maple neck with an Alder body and HSS pickup configuration with Seymour Duncan pickups for that fat tone. 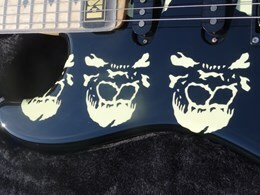 The name isn't made up, the skulls graphic really glow in the dark! 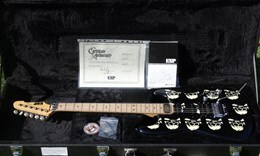 Comes in original case and with Certificate.